JAKARTA, Indonesia — Indonesia's president on Wednesday vowed a fairer distribution of the nation's wealth and a renewed commitment to protecting diversity after volatile months in which the country's reputation for tolerance was undermined by religious tensions and attacks on minorities. 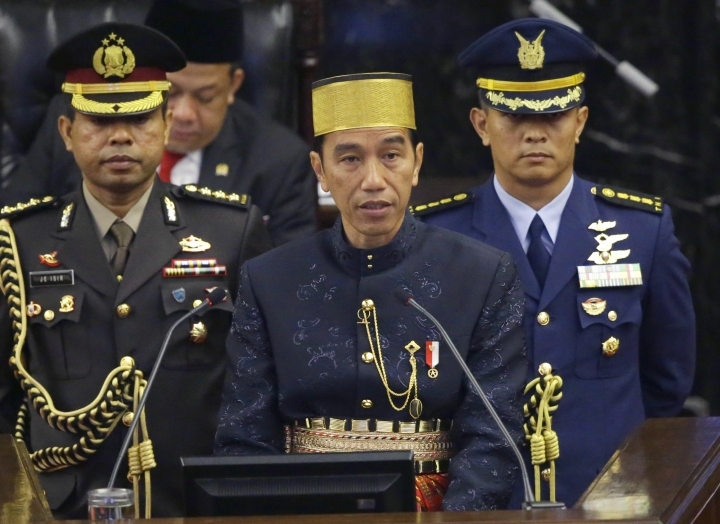 Joko "Jokowi" Widodo repeated familiar themes in his annual address to parliament that comes a day before celebrations of the 72nd anniversary of Indonesia's independence from Dutch colonial rule. 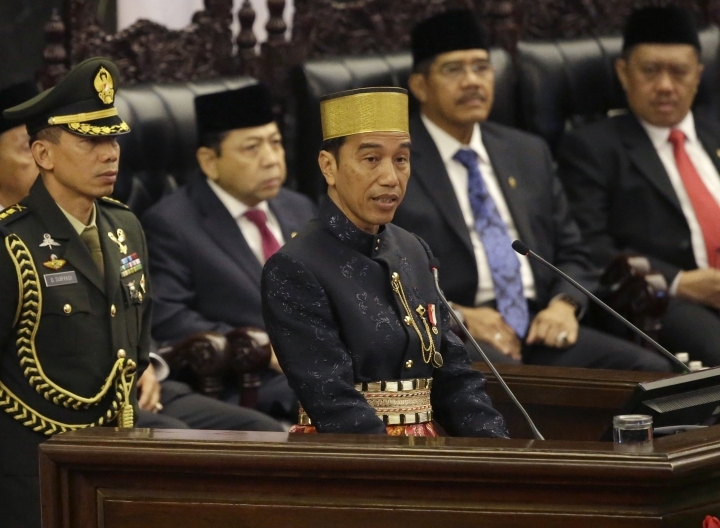 Jokowi, the first Indonesian president from outside the ranks of the elite or military, said economic development must be spread to all corners of the world's most populous Muslim-majority nation. "Equitable development will unite Indonesia. Fair development will make us stronger in facing global competition," he said. Indonesia is the third largest democracy after India and the U.S. and as a member of the Group of 20 major industrialized and developing nations, its economy is among the biggest in the world. But it has dramatic extremes of wealth and poverty, grappling with both childhood stunting from malnutrition and a mounting health care burden from obesity-related diseases among the wealthier. About 11 percent of the country of more than 250 million people lives in extreme poverty and large numbers are just above that poverty line. People in far-flung areas of the archipelago such as the westernmost province of Aceh, a region granted substantial autonomy under a peace deal in 2004 with separatists, should be able to get the same standard of education, health care and other services as their "brothers" around the country, Jokowi said. He also singled out the easternmost Papua region, one of the country's poorest areas where Indonesian rule is deeply resented by indigenous Papuans, saying he wants Papuans to feel the same nationalistic pride as other ethnic groups that make up Indonesia. He said the government will strengthen its commitment to protecting the idea of "unity in diversity" and "Pancasila," the official state ideology that promotes principles such as social justice, democracy and belief in one God. It has been seen as under increasing threat from an upsurge in religious conservatism that led to the imprisonment earlier this year of the then-governor of Jakarta, a minority Christian and ethnic Chinese, on charges of blasphemy. Persecution of LGBT people has surged in the past two years and religious minorities have faced an increase in violations of religious freedom and acts of intolerance including the eviction of more than 7,000 members of the Gafatar religious community in Kalimantan in early 2016.